A deal for Taiwanese PC maker Asustek Computer to buy struggling phone-maker HTC makes sense to some, and on Friday Asus's chairman said he wouldn't rule it out. An acquisition of HTC would certainly help the PC maker boost its presence in the smartphone market. Asus has only recently begun selling handsets, but it's aiming at shipping 17 million units this year. At the Asus shareholders' meeting on Friday, Chairman Jonney Shih said in response to a question that Asus wouldn't dismiss the possibility of buying HTC, but that no formal evaluation had been made, according to company spokesman Nick Wu. In a video news broadcastposted online, Shih added that it would have to consider the two companies' intentions behind such a merger. Both Asus and HTC are Taiwanese firms, and the island's tech industry has been under pressure, with the rise of Apple, Samsung and vendors from mainland China. Asus is selling phones in the U.S., and the company is targeting markets worldwide, especially China. 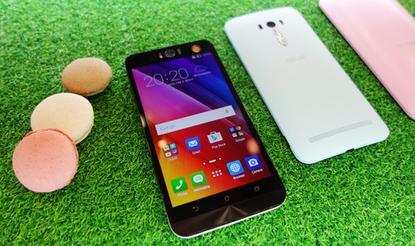 At this month's Computex show in Taipei, Asus announced a phone designed for taking "selfies." HTC, on the other hand, was once a top smartphone vendor, but the company has fallen on tough times, due to the fierce competition in the market. It's been losing market share, posting weak earnings, and seen its stock price fall by over a half this year. In March, HTC announced its founder Cher Wang would take over as its new CEO, but analysts have said it will have to do more than just shuffle executives to make a turnaround.